grilled tuscan bread topped with garlic, olive oil, tomato and basil with cheese. creamy italian-style risotto with mushrooms and shaved parmesan cheese. spaghetti, fresh tomatoes, basil, garlic and sundried tomatoes with extra virgin olive oil. 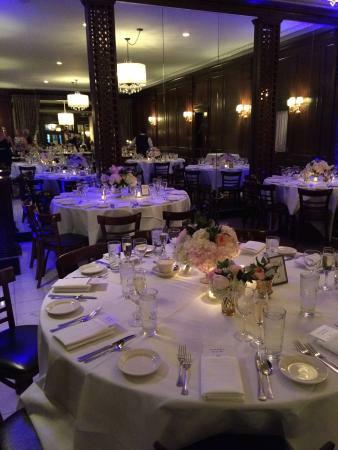 Wonderful staff, gorgeous place in the heart of Chicago to have a wedding. There aren't too many places available in the city at an affordable price while still being beautiful. Second time here in the past few months. Food and atmosphere are great, if you're looking for a quiet dinner this is not the place. That said, Salvatore's is becoming one of my favorites. Staff is wonderful. We had our daughters wedding here and were deighted with everything. Suzi and Amanda, who helped us plan it were incredible. The food was so delicious, and service staff great. Everyone loved it! 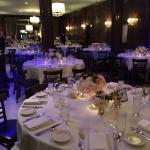 Get quick answers from Salvatore's Restaurant staff and past visitors.